Preheat your oven to 350 degrees. 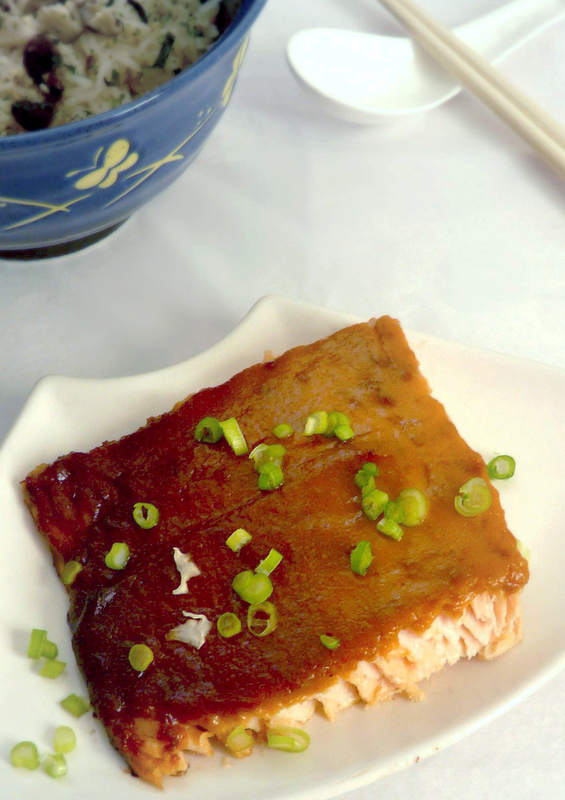 Lay the salmon fillets on a baking dish. Whisk the mayonnaise, miso paste and Sriracha sauce in a bowl until well mixed. 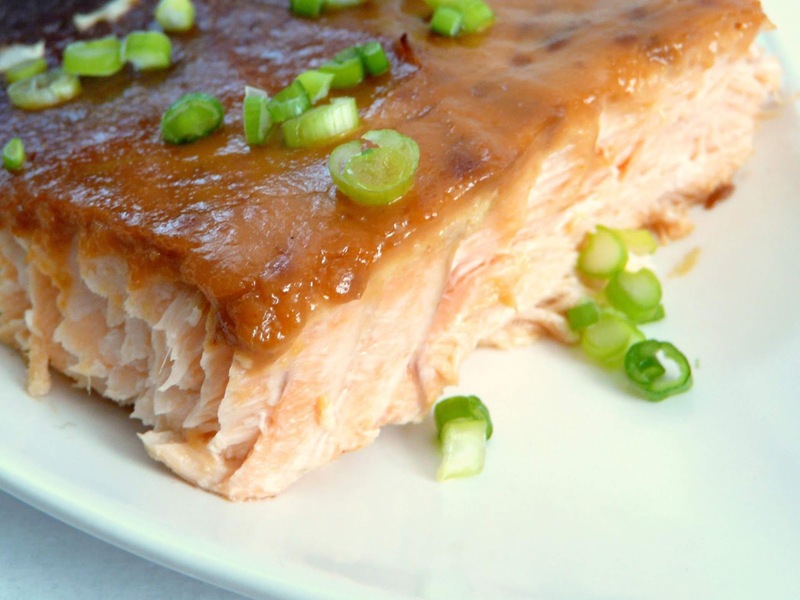 Spread the sauce on top of the salmon fillets. Cover the baking dish with foil and bake in the oven for about 20 to 25 minutes. Remove the foil during the last 5 minutes to allow the topping to brown a little. Serve immediately.